Richard and Susan Rickermann acquired Affton Radiator & A/C Service in June of 1977. Their son, Bill Rickermann, came to work for them after graduating from Lindbergh High School in 1977. Bill attended GM’s Apprenticeship training school the prior summer of 1976. After owning the business for 12 great years, Richard passed away. Bill took over the ownership in partnership with his mother, Susan in 1989. The business has grown from a single bay shop to its present location that has five bays. 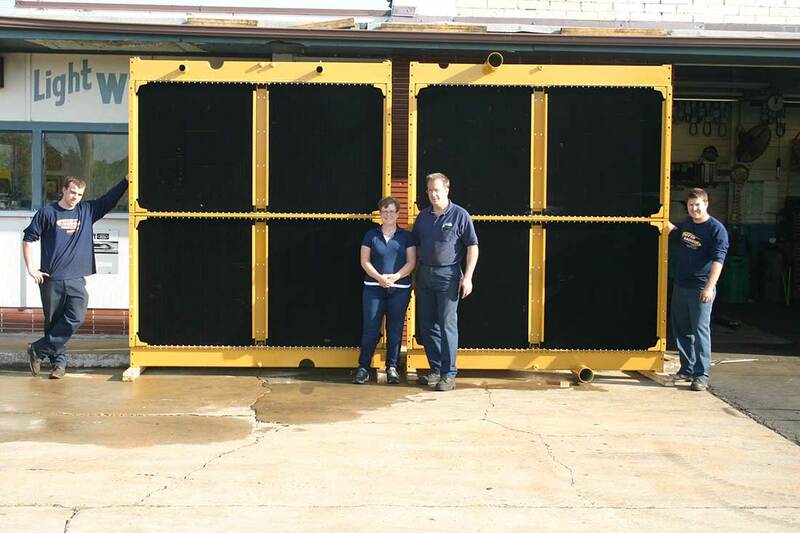 In 2005 Affton Radiator added industrial, heavy duty trucks, equipment, mining and marine to its radiator repairs. great job & really take care of your clients. Thank you and your team for putting our radiators on high priority. These units look very good, and I hope to do business with your company again in the future. on our 2001 Cadillac back in Oct. of 2010, while we were in St. Louis. Affton Radiator & A/C consists of highly trained technicians and salesmen. They have a combination of over 80 years experience. Our MACS certified A/C technicians attend annual training classes to stay up to date with the newest systems and technology in the air conditioning industry and coolant systems of domestic and imported autos. Our radiator technicians attend annual training to keep up to date with the new aspects of repairs to auto, industrial, marine, mining, quarry machinery and heavy trucks. Our radiator shop is NARSA Heavy Duty Certified. We are the only Heavy Duty Certified radiator shop in a five state region; Iowa, Kansas, Nebraska, Missouri and Oklahoma. © Affton Radiator • All Rights Reserved.